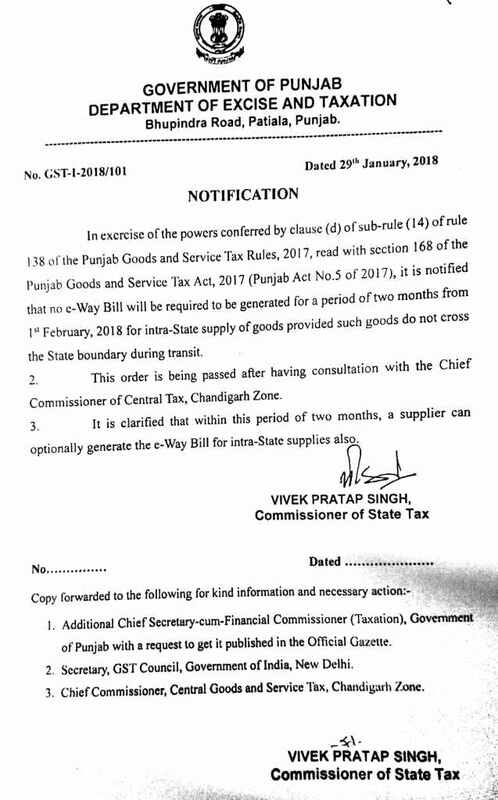 The e-way bill will be applicable on intra-state supply of goods in the State of Punjab w.e.f 01.04.2018. It is pertinent to mention here that e-way bill seem to has been exempted only for intra-state supplies of goods within Punjab. An important question now is whether e-way bill is mandatory for transactions which do not fall under the definition of supply of goods for example Job work, as the words mentioned are "intra-state supply of goods". This was a wonderful read. However, you can visit entransact.com to generate e-Way Bills in case of any difficulty.